The real estate industry is changing. Buzz words like "traditional broker" and "brick and mortar office" are creeping into discussions about what used to be. New thoughts and theories abound regarding the direction the industry will take as recovery from our 5 year nightmare begins. I can only guess. If you step back and look at other industries, you can see that change is inevitable. The economies of scale has been accused of creating a landscape that is hostile to "mom and pop" companies from coast to coast. I am not an economist. I do understand that in most cases, profit is king. The entertainment industry underwent a transition over the last 10 to 15 years. Vinyl was replaced with 8 track which was replaced with cassettes which was replaced with compact discs which are being replaced by mp3's. The distribution system used to be record label to distributor to warehouses to retail warehouses to retail stores to shelves and out the door. Today there are few distributors left and shipments are made directly to stores. Record labels shut down regional offices and everything became a small circle with only very large players. Those living in the DC area will remember Super Music City, Kemp Mill Records and Tower Records. They could not order enough product to get the attractive pricing enjoyed by national chains. They lost money. They are gone. The same sort of shake out has occurred in many industries. I had the opportunity to see life on the other of the fence. Long and Foster appointed me "acting" manager of their Olney office in the Spring of 2009. I got to witness first hand the frantic in-fighting that occurs behind closed doors. Traditional brokers face a changing landscape that not only includes a market that is filled with uncertainty but direct assault from other players that want to get into the business. Firms that own more buildings than they can afford to maintain find themselves in the same dilemma as their clients. Values have plummeted. The value of commercial property has taken the same sort of hit that residential property has suffered. The resources to maintain multiple offices are directly related to sales and commission splits with agents. Brokers are faced with mounting expenses and less income. Something has to give. The fall out from the situation is seen across the country as "mom and pop" brokerages shut down and larger firms close offices. Buzzwords abound that attempt to paint an optimistic slant on the changes. Firms that do not come up with new plans will either be sold or shut down. Real estate agents are independent contractors. The sign agreements to work for a broker. Some agents become brokers and work independent of anyone else. Most agents prefer to "hang their license" with a broker. The industry has been that way for years. The agent agrees to share a portion of their commission with the broker and the broker agrees to supply the agent with support, etc. There was a time, when all agents began with a 50-50 split with the broker. As the agent sold more, the broker agreed to increase the amount of money the agent received by reconfiguring the split. Agents began seeking higher splits. Successful agents would shop their talents to competing brokers and many were successful in garnering a larger share of the commission. This system led to the fact that most traditional firms needed new blood to make a profit. Agents were put under contract if they passed the state exam and had a pulse. Most of them failed within the first two years but the broker kept a large portion of the commission on sales that were made. (It is no secret that many agents got a license just to buy or sell their own home). The traditional brokerages were faced with a new dilemma. Firms, like ReMax, came along and offered franchises to brokers that wanted to run a different business. The agents in this system would pay a monthly fee to the broker and the agents would keep all the commission earned. This plan was later altered to allow the agents to keep 95% of all the money they earned. The agents could work from home. If they wanted to have office space, they would pay rent. The agent was responsible for all their expenses. This seemed like a great idea to many agents. They could control their expenses and keep almost all of their commission dollars. The brokers could budget based on the number of agents they had working for them. It seemed like a perfect plan. The absolute collapse of the economy came on the heels of Wall Street scheming. The mortgage industry began to fold. The government had to step in and bail out almost every major financial institution. Housing sales began to slow down. Requirements for a mortgage began to tighten. Fewer people could qualify. Prices that had skyrocketed everywhere in the country began to recede. 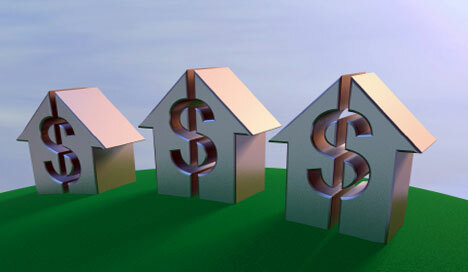 A few years passed and interest rates on adjustable mortgages began to reset. Home owners began to fall behind. Home owners that had taken equity out of homes during the good times began to see the values drop and found themselves "upside down". Borrowers that took out risky adjustable rate loans could not pay the new payment and discovered the home was worth less than what they owed. The market fell apart. Home values have plummeted about 30% in many areas. They may continue to fall. The "shadow" inventory of bank owned property that is not on the market continues to grow. The basic laws regarding supply and demand will probably force home prices lower before they begin to rise. In average times, home values could be expected to increase about 3% per year. Simply put, if you begin on January 1, 2011, it will take about 10 years for your home to reach the value it had before the collapse. TEN YEARS. This is not like any real estate market that has ever existed. There are some comparisons to the time period after the Great Depression, but this is a market members of the industry today have never experienced. It is not a market like when interest rates hit 14%. It is not a market like the early 90's. This is a market that is a mystery to everyone. Some brokers will survive. Some agents will survive. The costs of staying in business will have to be shared. Agents will have to accept that if they want to keep more than about 75% of their sales generated commission, the will have to get a broker's license and operate on their own. Broker's will have to accept that they will need to offer basic services to all the agents under them in return for about 20% of sales generated commissions. Agents have forever borne the risk of succeeding. Brokers will have to become more judicial in their decisions of whom to bring on board. The more prestigious the broker, the better the agents, the more successful they will become. Branding competence instead of yellow signs or balloons or pictures of antiquated founders will increase credibility with a skeptical public. The larger players are going to win. It has happened in every other industry. The challenge will be whether the new face of real estate is based on actually performing according to the Code of Ethics or will real estate go down the road of Wal-mart and other national chains that have gobbled up the retail industry. Brokers and agents today have the opportunity to shape tomorrow. If they sit and continue doing business as usual, they will discover that they may have been replaced by the bank teller or some version of on-line agency. If tomorrow never comes, we can keep going down the same road. But tomorrow always comes. All of life is changing fast. Being flexible and open is helpful. Let's get better and stronger, so no matter what happens, we will succeed....and of ocurse adopt to change. Tomorrow is today. I don't expect to see much change in the next several years. Agents and brokers who do not see the writing on the wall will not survive or will just survive. Agents and brokers who can focus on the realities of the market and adjust will be just fine, thank you. It really is scary to see agents leaving the business, brokerages closing their doors. I'm just staying the course. John, Thats why we have monster broadcasters like Clear Channel, etc. I enjoyed your in ddepth commentary on the state of the industry. I also sensed you may have been in the music industry as I was. Only one area I disagree. The 8-Track never replaced anything. The cassette and finally the CD is what really killed vinyl (although it is having a rebirth today) as a mass appeal format. Not every market is a "nightmare". Is yours that needs a reminder over and over or is that just why some of the media out of habit keeps throwing it up there to scare folks? The most messed up real estate markets usually are the ones with the greatest FSSR (foreclosure, short sale, repossession). Have nose bleed high price tags with a slew of zero places in them that are some kind of hard to make if income falls off. Rural areas one income does it, where you don't need a home mortgage or it is pretty darn small. You double up on payments to retire them early and everything is low cost/ no cost. Real estate is like any other industry where reinventing, embracing media, changes in marketing and buy/seller habits plus appetites need consideration. It's a case of curse the darkness in some areas, can be anyone have a candle, match to light ? I think the internet has created the level playing field....consumers find me right along with the big boys, even more often in some cases. Brand recognition is great, and there are enough crumbs to still go around. Right now you can see that agents with a laptop do not need the bricks and mortar office or the meetings or the costs. Give me a computer, the internet, my license, and I'm a happy camper. We're a very small Mom and Pop office, with a real building, and we're doing just fine (thank you very much). We live in a very small town, we have a very good reputation, and we also have a very good internet presence and are tech literate. Agents come and agents go...same for brokerages. There is still some consolidation in the industry before it turns around. There is something to be said for the economies of scale that large brokers offer. That being said, there is far too much wasted desk space sitting out there because agents don't work that way for the most part. If six agents out of the hundred we have in the office even see their desks once a week, that's a lot. What you say is a reality. Real estate as a business won't seem as appealing as it used to. I chatted with a licensed agent the other day who currently doesn't have broker affiliation and is waiting for the market to come back around before getting back in. He asked me how is business? It's tough, I said, we have mostly short sales, some REO's, and many over-priced standard sales. In Southwest Riverside County California, if an agent can't or doesn't want to do short sales, they might as well forget it -- sales will be fewer and farther between than ever they have been in the past. I agree, unless an agent/broker has a lot of grit (and I mean alot), or a huge database from which to draw, small mom and pop offices are going to be dozed over by the bigger offices. I've already experienced that. A bigger broker and brand name has more to offer, even if I have to offer up some commission, it will be worth it in the long run. I think there will be fallout from the bigger brands, too. It's inevitable. The only point I disagree is bank tellers becoming real estate agents? That's more incompetence than the business will allow, IMHO. Loved the post, keep up the good work. Fascinating walk into tomorrow. We are already thriving now, so we expect to still be helping folks in the next decade and beyond. It's a whole new world one needs to embrace and plan for continuing changes. If not, you will not be here.